Shanghai, ChinaFor all the day and most of the night, it rained in Shanghai for the Samsung Diamond League meeting. Who could stop it? Who would stop it? Liu Xiang, of course. 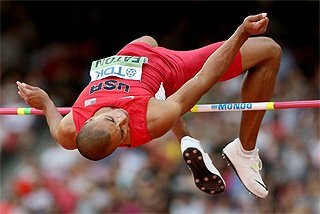 For the 12.97 seconds it took the former Olympic champion and former World record holder to establish he has a huge chance of taking a second Olympic gold medal in the 110m hHurdles in London later this year, the rain pretty much disappeared. The same rain had persisted – sometimes in the form of drizzle, sometimes in torrential squalls – throughout the day. But not even the weather gods dared rain on Liu Xiang’s parade. Not that any of the crowd packed into Shanghai stadium would have cared had it kept raining. Through a miserable night, they had waited patiently for the hurdles, the final event on the program. It could have poured, it could have hailed, the wind could have blown in a typhoon – none of it mattered as long as Liu delivered the win. And he did. China had two winners on the night, a totally expected – no, make that demanded – victory by Liu and an equally unexpected one in a loaded men’s pole vault field by Yang Yansheng. Yang came into the meeting with a personal best of only 5.75m, one of the lowest-ranked of the field. But he cleared 5.65m on the first attempt on a miserable night to win on countback from German veteran Bjorn Otto. It could so nearly have been three wins for China, too, Zheng Xingjuan almost pulling off another upset in the women’s High Jump, which she lost in a jump-off to World indoor champion Chaunte Lowe. The pair both cleared 1.92m at the second attempt before failing at 1.95m to finish in a tie. The jump-off started at that height, then moved down to 1.93m, 1.91m and 1.89m without either jumper being able to register a clearance in the driving rain. Finally, at 1.87m, Lowe went over and when Zheng could not, the win was hers. Liu’s 12.97 was his first sub-13 since 2007 and a full tenth of a second faster than his winning time in the Shanghai SDL last year. 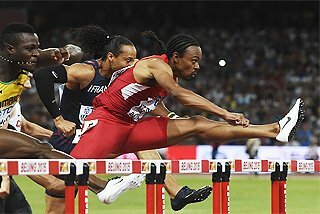 He was off the blocks quickly and finished a metre-and-a-half clear of David Oliver (13.13) and 2011 World champion Jason Richardson (13.16). Both men ran season’s bests, Richardson saying he had made some mistakes in the second half of the race, "but I’ve never run this fast this early." Liu said that he had never thought of backing off, given the wet conditions. "As I said yesterday, I decided to give my full play (i.e. effort)," said Liu. "Shanghai is my home and I love running here. I always try to deliver what I have on the day." 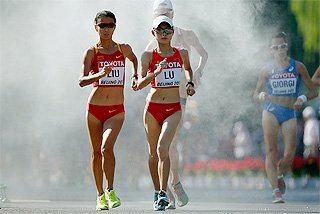 Liu said that running so fast so early in the season did not make him think of regaining the World record. 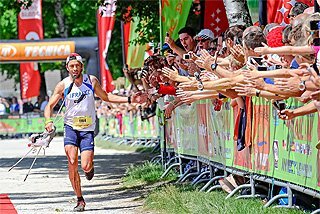 "Whatever the circumstances, I never think of breaking the World record. 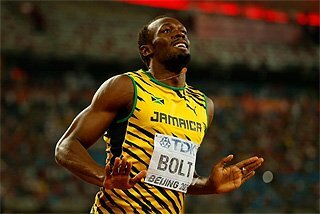 What I care about is to keep my great form and deliver my training form into my races." Any other country, any other night, any other meeting, Genzebe Dibaba would have taken the headlines with her Ethiopian record 3:57.77 performance in the women’s 1500m. This night, however, she had to be content with second billing, but with her 18-year-old countryman, Hagos Gebhriwet, plus the performance at women’s 800m in Doha last week by Fantu Magiso (19) and in Daegu by Mohammed Aman (18), the 21-year-old sister of Tirunesh is clearly in the vanguard of the next generation of Ethiopian champions. 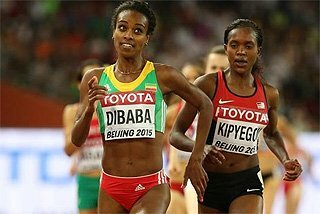 Dibaba showed her talent at 1500m with her win in the World indoor championships in Istanbul and here she followed the pace through 800 metres in 2:08 before powering on to her national record. Not that far behind her was 21-year-old teammate Abeba Aregawi in 3:59.23. 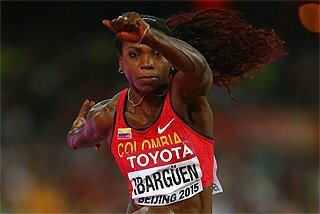 Eunice Sum of Kenya, who had set a brief world lead at 4:05.99 in Daegu, was 0.09 seconds quicker than that only to find herself some 50 metres back in seventh place. 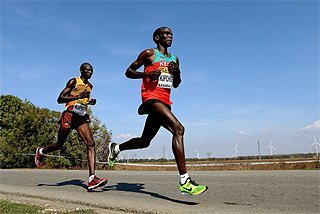 The men’s 5000m was run in quite the worst of the conditions, with the pace progressively slowing as the runners splashed their way around the track. In the end, though, it was Gebrhiwet who had the most powerful finish, a 54.35 final lap taking him to victory over Thomas Longosiwa, 13:11.00 to 13:11.73. 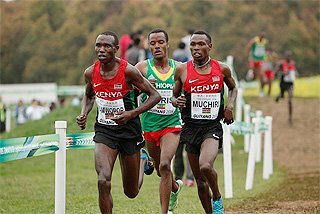 John Kipkoech was third in 13:12.66 with big names Kenenisa Bekele (fifth in 13:13.89) and Augustine Choge (seventh, 13:15.50) buried back in the pack. 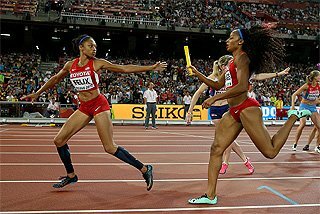 Headlining the sprints was the meeting over 200m between Daegu 2011 100m champion, Carmelita Jeter, and 200m champion Veronica Cambell-Brown. 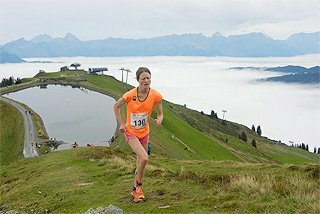 This was another race run in the heaviest of the night’s rain. Wet or dry, however, the result was the same as in Daegu last year, Campbell-Brown holding off Jeter, 22.50 to 22.62. Jeter stumbled a few steps short of the line appearing to injure herself, but she walked through the athletes-media mixed zone without a noticeable limp. The wind in the women’s 200m was officially +2.8, but it can’t have been much help in the wind and rain. Asafa Powell won the men’s 100 in 10.02, comfortably clear of Michael Rodgers (10.08) and Nesta Carter (10.16) and there was a third Jamaican sprint victory in the women’s 400 when world leader Novlene Williams-Mills finished over the top of World champion Amantle Montsho, 50.00 to 50.83. Croatia’s Sandra Perkovic loves Shanghai – she won here last year, too. 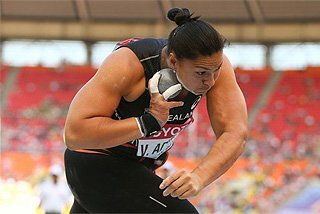 But her 2012 victory was the more memorable for bringing a national record 68.24m on the final throw. Perkovic would have won with her third round 64.89m, but her final effort was just 65 centimetres short of the world lead of 68.89m by Nadine Muller of Germany. "It was perfect. Last year I was first and I threw 65 and this year I am again first and I threw 68. I like Shanghai. The weather was a problem in the beginning, but at my last attempt there was no rain." Beijing 2008 champion Stephanie Brown-Trafton of the U.S. took second with 64.20m with Berlin 2009 World champion Dani Samuels equalling her season’s best of 62.34m in third. Phillips Idowu did his prospects of winning gold at his home Olympics no harm with an outstanding series, given the conditions, to win the men’s Triple Jump. Idowu went 17.00m, 17.24m, 17.09m, 17.13m, 16.96m and a pass to defeat the only other man over 17 metres, Istanbul 2012 World indoor champion Will Claye, who reached 17.12m. Daegu 2011 World champion Christian Taylor was third with 16.96m. Reese Hoffa left it until his last throw – a 20.98m effort – to take the lead in the men’s Shot Put, narrowly beating Dylan Armstrong (20.93m) who had led from the first round. Janay DeLoach likewise left it late in the women’s Long Jump, her 6.73m final effort taking her from seventh to first and pushing Blessing Okagbare back to second place with 6.64m. Milcah Chemos won the women’s 3000m Steeplechase in 9:15.81, Leonard Kosencha took the men’s 800m – run in possibly the worst rain of the night – in a slow 1:46.04, and Vitezslav Vesely was commendably close to his best to win the javelin with 85.40m, ahead of such luminaries as Matthias De Zordo, Andreas Thorkildsen and Tero Pitkamaki.